Image of the Week – Promoting interdisciplinary science in the Arctic: what is IASC? IASC, the International Arctic Science Committee, is more than your regular committee. 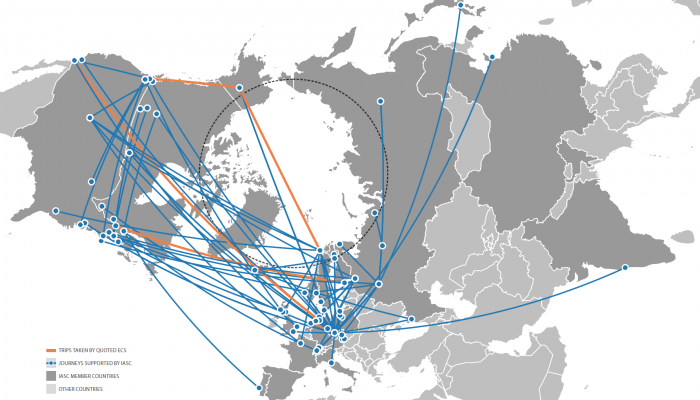 IASC connects Arctic scientists from 23 member countries and countless disciplines in order to promote and support impactful multi- and interdisciplinary Arctic research. IASC aims to foster a greater scientific understanding of the Arctic region and its role in the Earth system [Credit: IASC]. The Arctic is one of the fastest changing regions on the Earth, where climate change impacts are felt both earlier and more strongly than elsewhere in the world. As an integral part of the Earth system, the Arctic is shaped by global processes, and in turn, Arctic processes influence the living conditions of hundreds of millions of people at lower latitudes. No one country or community can understand the Arctic alone. Big Arctic science questions require ambitious Arctic science – but researchers sometimes need a little help bridging both national and disciplinary boundaries. That‘s a lofty mission, but how does the International Arctic Science Committee (IASC) achieve it? Read on! How does IASC support science? Each IASC member country appoints up to two members to each of IASC’s 5 scientific Working Groups (Atmosphere, Cryosphere, Marine, Social & Human, and Terrestrial). These groups allocate IASC‘s scientific funds for small meetings, workshops, and projects. Follow the to see the science priorities of each group, find out about upcoming Working Group activities, and explore the expertise of their members! Understanding the future of the Arctic means we need to invest in the Arctic researchers of today. Therefore, At least 40% of IASC’s working group funds must be co-spent with another working group, to encourage interdisciplinary projects. 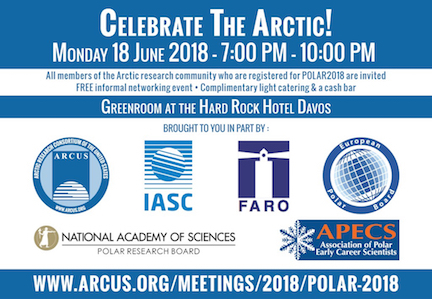 Check out upcoming events in 2019 like the Year Of Polar Prediction Arctic Science Workshop, High Latitude Dust Workshop, Snow Science Workshop, and Network on Arctic Glaciology meeting – just to name a few! What else does IASC do? IASC convenes the annual Arctic Science Summit Week (ASSW), which provides the opportunity for coordination, cooperation and collaboration between the various scientific organizations involved in Arctic research and to economize on travel and time. In addition to IASC meetings, ASSW is a great opportunity to host Arctic science meetings and workshops. ASSW2019 will be in Arkhangelsk, Russia. IASC influences international Arctic policymakers by being an observer to the Arctic Council and contributing to its work. IASC projects include contributing experts to an assessment on marine plastic pollution in the Arctic, helping coordinate reviews for the first Snow, Water, Ice, and Permafrost Assessment (SWIPA) report, and co-leading the Arctic Data Committee & Sustaining Arctic Observing Networks. At least one third of IASC‘s scientific funds must be spent on supporting early career researchers (see the image of the week)! In addition, the IASC Fellowship Program is meant to engage early career researchers in the Working Groups and give them experience in helping lead international and interdisciplinary Arctic science activities. Applications are now open and due by 19 November! Do you have a great idea that you think IASC might want to support? Or want to learn more about IASC? Connect with IASC on Facebook, and sign up to receive our monthly newsletter! You are also encouraged to reach out to the relevant national/disciplinary IASC Working Group experts, IASC Council member, and the IASC Secretariat. 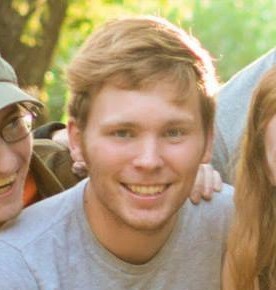 Allen Pope is the IASC Executive Secretary. IASC scientific funds are provided from national member contributions. The IASC Secretariat in Akureyri, Iceland is supported by Rannís, the Icelandic Centre for Research. The IASC Secretariat is responsible for the day-to-day operations and administration of IASC. Allen also maintains an affiliation as a Research Scientist at the National Snow and Ice Data Center at the University of Colorado Boulder where he continues research based on remote sensing of glacier mass balance and surface hydrology. You can find out more about Allen and his research at https://about.me/allenpope. He also enjoys sharing and discussing polar science with the public and tweets @PopePolar. 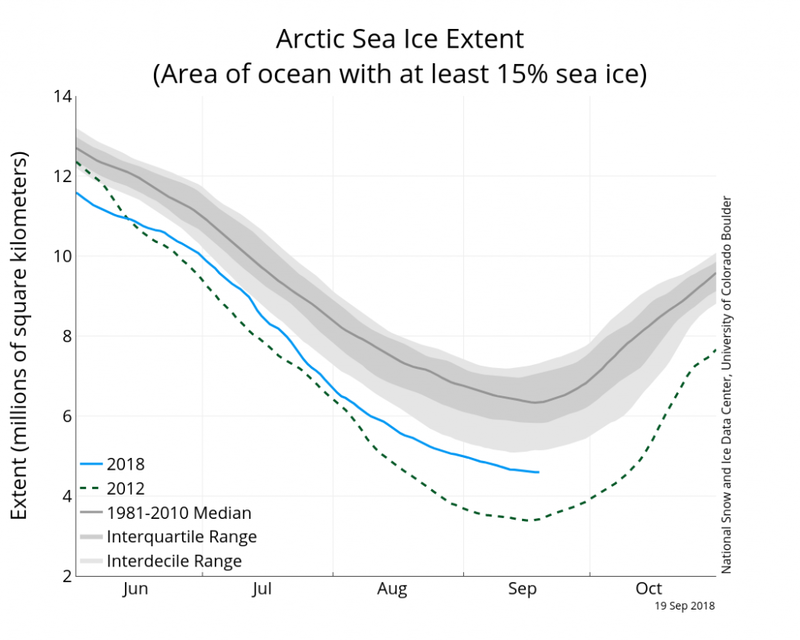 Perhaps the most enduring and important signal of a warming climate has been that the minimum Arctic sea ice extent, occurring each year in September, has declined precipitously. Over the last 40 years, most of the Arctic sea ice has thus been transformed to first-year ice that freezes in the winter and melts in the summer. Concern about sea ice extent and area is valid: since sea ice is a highly reflective surface, a reduction of its area has a significant effect on the energy budget of Earth’s climate. Yet it is well-documented that, in the summertime, when sunlight is strongest, the biggest changes to sea ice volume are coming from effects not associated with changes to ice area, but with changes to sea ice thickness, like increased melt ponding. The change from thick, reflective multi-year summer sea ice to thin, ponded, less-reflective first-year ice are seen throughout the Arctic. 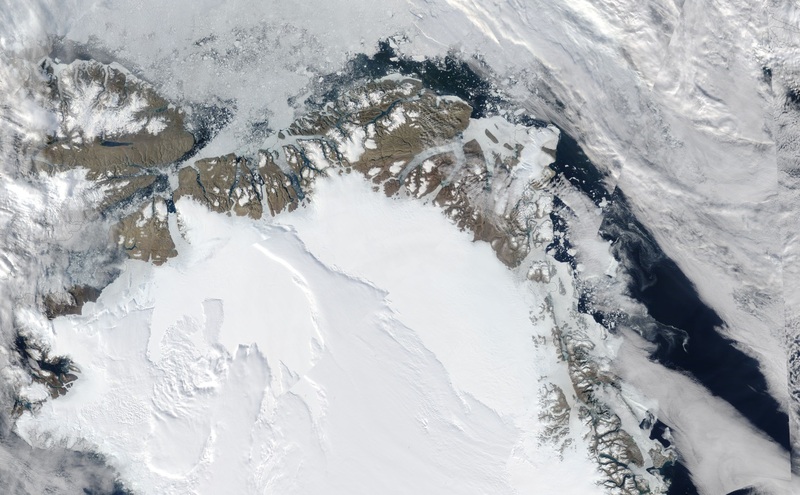 In places like Nares Strait, the region of the Canadian Arctic that separates Canada from Greenland (seen above), commonly referred to as the “last ice area”, this is true as well. 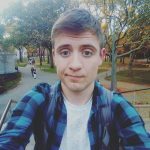 In the summer of 2016 and 2017, 4 filmmakers and a scientist (that’s me!) set out to examine Nares Strait, the area that separates Ellesmere Island in Canada from Northern Greenland (see map below). The Strait has been designated the “last ice area” by the World Wildlife Fund, a region which is expected to remain fully covered in thick sea ice even as the rest of the Arctic sea ice cover melts. Yet when we arrived, what we found was anything but the promised land of thick, multi-year ice. Instead, all of the ice we encountered was thin, heavily ponded, and fragmented. In decades past, the presence of multi-year floes would dam Nares Strait, allowing ice-free passage for kayakers. Instead, the fractured ice poured through the strait, making passage impossible. 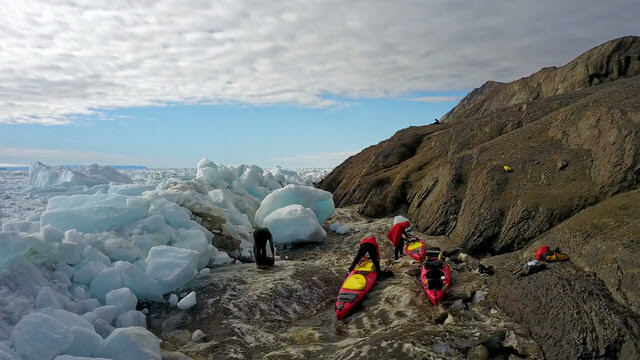 Faced with an impassable strait, we resorted to pulling the kayaks over the land, moving a total of 100 km in 45 days. Most projections have the Arctic totally ice-free in September by 2050, meaning there will truly be no multi-year ice left at all. 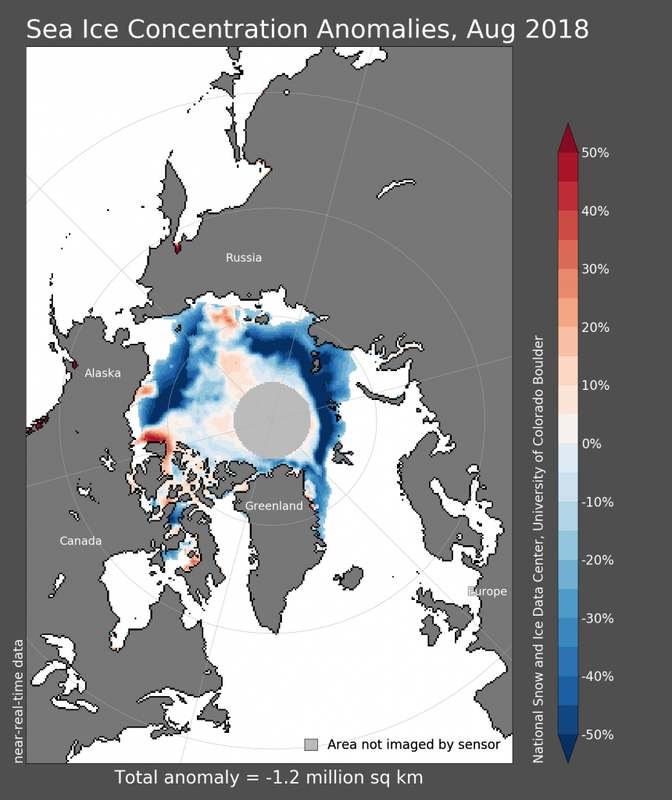 Yet as the Arctic still cools dramatically in winter, during the summer months (from May to July) when solar radiation is highest, the total area of the Arctic covered in sea ice is still high, but now covered by thin first-year ice. At the same time, the ongoing warming has thinned the Arctic sea ice by more than half (Kwok, 2008). 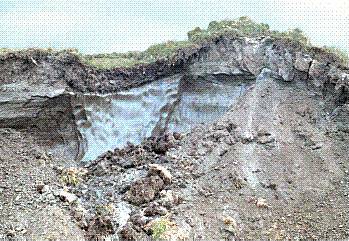 The albedo of first year ice can be half or less that of multi-year thicker ice (Light, 2008). Since the Arctic has thinned substantially over the last 40 years, the consequences of this thinning on the Arctic and Earth climate system are dramatic. More and more solar radiation is absorbed by thinner ice. Excess solar absorption leads to ocean and atmospheric warming, and to more sea ice melting, a process known as the ice-albedo feedback. It was previously thought that regions covered by sea ice where inhospitable to photosynthetic life. However, thinning sea ice is likely responsible for the increase in phytoplankton blooms in the Arctic, as more light is transmitted through the thinner ice. The Arctic sea ice cover is rapidly transitioning from thick, multi-year ice to thin, ponded, first-year sea ice. As we can see, this thinning is resulting in a totally new Arctic climate system. Image of the Week – The ups and downs of sea ice! Kwok, R., and D. A. Rothrock (2009), Decline in Arctic sea ice thickness from submarine and ICESat records: 1958-2008, Geophys. Res. Lett. Arrigo et. al., (2012), Massive phytoplankton blooms under Arctic sea ice, Science. Horvat, C., D. R. Jones, S. Iams, D. Schroeder, D. Flocco, and D. Feltham (2017), The frequency and extent of sub-ice phytoplankton blooms in the Arctic Ocean, Sci. Adv. Light, B., T. C. Grenfell, and D. K. Perovich (2008), Transmission and absorption of solar radiation by Arctic sea ice during the melt season, J. Geophys. Res. Ocean. 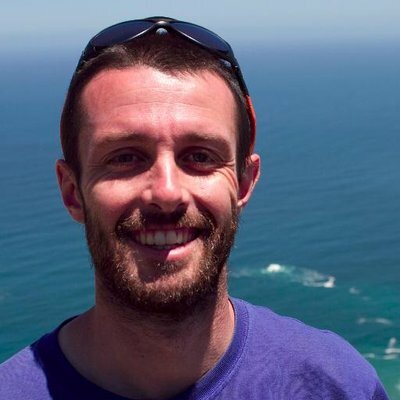 Chris Horvat is a NOAA climate and global change postdoctoral fellow at Brown University in Providence, RI. He tweets as @chhorvat and you can also reach him on his website. Polar sea ice exists as isolated units of ice that we describe as floes. These floes do not have a constant shape (see here for instance); they can vary from almost circular to being jagged and rectangular. However, sea ice models currently assume that all floes have the same shape. Much focus has been paid to the size of floes recently, but do we also need to reconsider how floe shape is treated in models? Why might floe shape matter? In recent years, sea ice models have started to examine more and more how individual floes influence the overall evolution of sea ice. Lateral melt rate: the lateral melt rate describes how quickly a floe melts from its sides. Two floes with the same area but different shape can have a different perimeter; the lateral melt rate is proportional to the floe perimeter. Wave propagation: a straight floe edge will impact propagating waves differently to a curved or jagged floe edge. 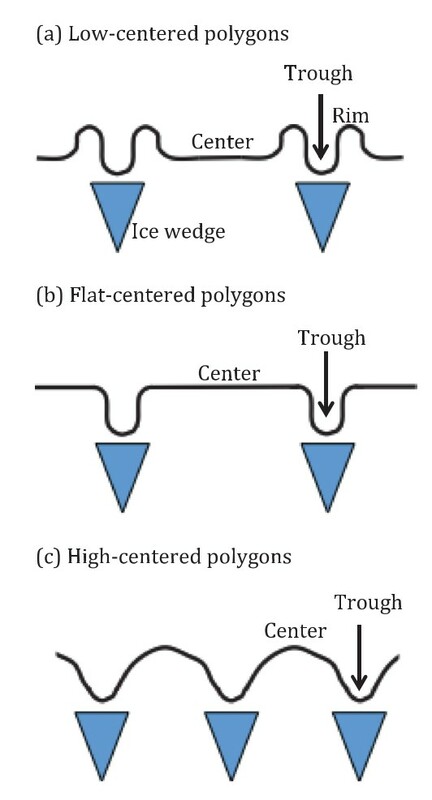 The distance waves travel under the sea ice and hence the extent of sea ice that waves can fragment will be dependent on these wave-floe edge interactions. Floe mechanics: an elongated floe (i.e. much longer in one direction than another) will be more likely to break from incoming waves if its longer edge is aligned with the direction the waves are travelling. How do models currently treat floe shape? One approach used within sea ice models to define floe shape is the use is the use of a parameter, α. The smaller the floe shape parameter, the longer the floe perimeter (and hence, the higher the lateral melt rate). A standard value used for the parameter is 0.66 (Steele, 1992). Figure 2 shows how this floe shape parameter varies for some common shapes. The standard value of the floe shape parameter, 0.66, was obtained from taking the mean floe shape parameter measured over all floes greater than 1 km from a singular study area of 110 km x 95 km at one snapshot in time. Despite the limited data set used to estimate this shape parameter, it is being used for all sea ice throughout the year for all floe sizes. However, this would only be a concern to the accuracy of modelling if it turns out that sea ice evolution in models is sensitive to the floe shape parameter. To investigate the model sensitivity to the floe shape parameter two simulations have been run: one uses a floe shape parameter of 0.88 and the other uses 0.44, chosen to represent likely extremes. The two simulations are run from 2000 – 2016, with 2000 – 2006 used as a spin-up period. Figure 1 displays the mean total ice area throughout the year and results of individual years for each simulation. Figure 3 is an equivalent plot to show the annual evolution of total ice volume for each simulation. The results show that the perturbation from reducing the floe shape parameter is smaller than the variation between years within the same simulation. However, the model does show a permanent reduction in volume throughout the year and a 10 – 20 % reduction in the September sea ice minimum. The impact of the floe shape is hence small but significant, particularly for predicting the annual minimum sea ice extent and volume. 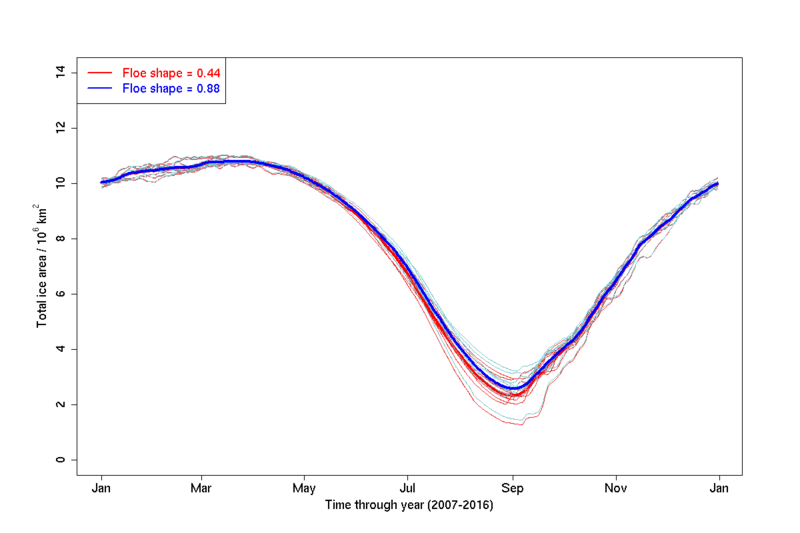 Figure 3: Annual evolution of the sea ice volume with two different floe shape parameters of 0.44 (red) and 0.88 (blue). The model is spun-up between 2000 – 2006 and then evaluated for a further ten years between 2007 – 2016 and the mean values over this period displayed by the thick lines. Thin lines show the results for individual years. In 2015, Gherardi and Lagomarsino analysed the floe shape behaviour from four separate samples of satellite imagery from both the Arctic and Antarctic. The study found different distributions of floe shapes in different locations, however there was no correlation between floe shape and size. This property would allow models to treat floe shape and size as independent properties. More recently, in 2018, Herman et al. analysed the results of laboratory experiments of ice breaking by waves. It was found that wave break-up influenced the shape of the floes, tending to produce straight edges and sharp angles. These features are associated with a smaller floe parameter i.e. would produce an increased lateral melt rate. Do further observations support the finding that floe size and shape are uncorrelated? What range of values for the floe shape parameter can be observed in reality? Do we see significant variations in the floe shape parameter between locations? Do these variations occur over a large enough scale that they can be represented within existing model resolutions? Gherardi, M. and Lagomarsino, M.C., 2015. Characterizing the size and shape of sea ice floes. Scientific reports, 5, p.10226. Herman, A., Evers, K.U. and Reimer, N., 2018. Floe-size distributions in laboratory ice broken by waves. The Cryosphere, 12(2), pp.685-699. Steele, M., 1992. 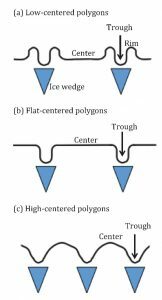 Sea ice melting and floe geometry in a simple ice‐ocean model. Journal of Geophysical Research: Oceans, 97(C11), pp.17729-17738. 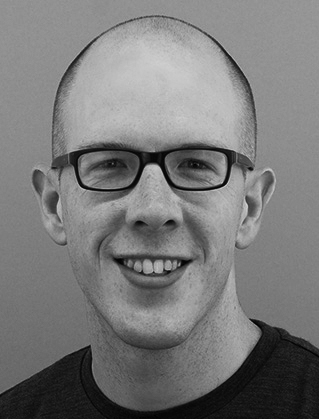 Adam Bateson is a PhD student at the University of Reading (United Kingdom), working with Danny Feltham. His project involves investigating the fragmentation and melting of the Arctic seasonal sea-ice cover, specifically improving the representation of relevant processes within sea-ice models. In particular he is looking at lateral melting and wave induced fragmentation of sea-ice as drivers of break up, as well as the role of the ocean mixed layer as either an amplifier or dampener to the impacts of particular processes. Contact: a.w.bateson@pgr.reading.ac.uk or @a_w_bateson on twitter. Early career scientists studying polar climate are one lucky group! The 29 young scientists who took part in the 10 day Polar Prediction School this year were no exception. They travelled to Arctic Sweden to learn and discuss the challenges of polar prediction and to gain a better understanding of the physical aspects of polar research. 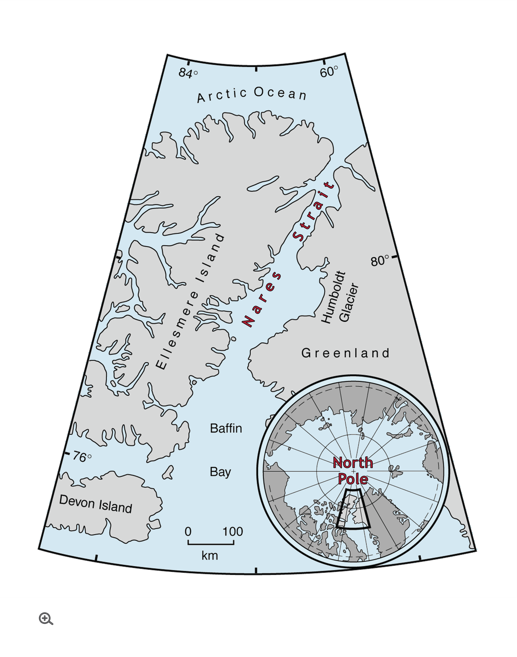 The Year of Polar Prediction (YOPP) was launched on May 15th 2017; a large 2 year project that ‘aims to close gaps in polar forecasting capacity’ and ’lead to better forecasts of weather and sea-ice conditions to improve future environmental safety at both poles’. 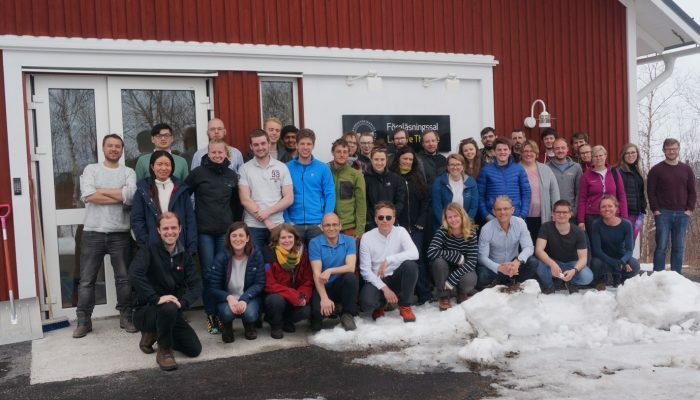 With these aims in mind, and with the support of the related APPLICATE project and the Association for Polar Early Career Scientists (APECS), a ten day Polar Prediction School took place in Abisko, Sweden in mid-April. Abisko is a little town of 85 inhabitants, located north of the Arctic Circle (68°N) next to a National Park and a large lake. Due to the interesting habitats found in the region it is an excellent place to undertake polar research. Consequently, a scientific research station is located in the town, where research mainly focuses on biology, ecology, and meteorology. Heading back to the research station (seen at the back of the picture) after a long hike [Credit: C. Burgard]. The 29 school participants were made up of Master students, PhD students, and PostDocs, with some studying the Arctic and some the Antarctic. The participants had diverse research backgrounds, with research that focused on atmospheric sciences, oceanic sciences, glaciers, sea ice and hydrology of polar regions, and used a range of techniques, from weather or climate models to in-situ or satellite observations. However, in the end, we were all linked together by our interest in the polar regions. Both this diversity and this link in our research helped us to exchange ideas about the common issues and the differences in all our disciplines. 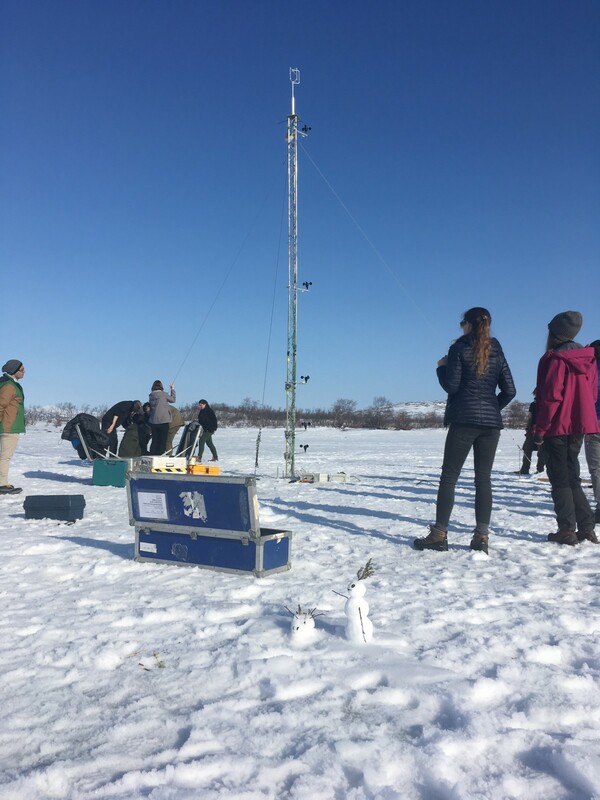 Observations, which included measuring temperature and wind from a weather station on the frozen lake next to the station, and daily radiosonde launches at lunchtime, in sync with radiosonde launches worldwide. These results were compared to model predictions each day. Data assimilation, which focused on understanding the shortcomings in reanalysis products that we all use, including sources of uncertainty and error in the products and how they may impact our own work. After dinner each evening a different group gave an informal weather briefing for the next day, which was often condensed down to how cloudy it would be, the amount of snow predicted (very little), and temperature (which averaged 2-3°C). Not quite the harsh, sub-zero temperatures that most of us had packed for! Each day was broken up by two coffee breaks (always accompanied by an obligatory cinnamon roll!) and meals which were taken all together in the main research building. This dragged everyone out of the lecture room to chat and refresh before the next session. As is usual for any worthwhile meteorological fieldwork, we installed a small weather mast on the lake [Credit: C. Burgard]. 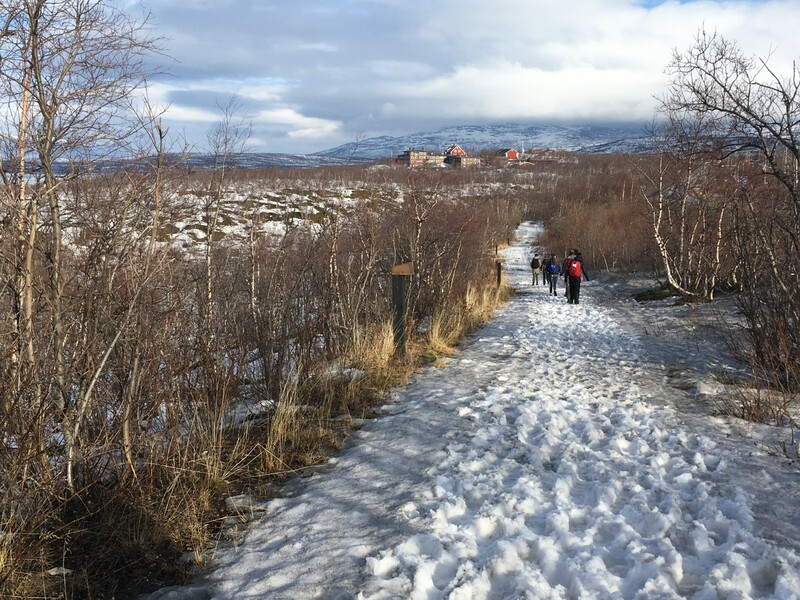 The usual weather in Abisko during April is fairly dry with temperatures ranging from 2°C to -6°C. In preparation for the cold, most of us had brought an abundance of wooly jumpers, thick thermal layers and numerous pairs of socks. However, on arrival in Abisko, the sun was shining and it was a balmy 7°C for the first two days. Whilst erecting the meteorology mast many of us were wearing T-shirts and sunglasses, after abandoning our warmer gear. The warm weather was not to last! Cloudy, relatively mild (2°C to -2°C) conditions persisted throughout most of the week, and it remained dry, which made it easier to forecast the weather but we were all hoping for a little snow! Finally, on the final day of the summer school, large snowflakes fell, although sadly it all melted quite quickly. When we arrived, the whole area was coated in a thick layer of white snow and the frozen lake was covered. 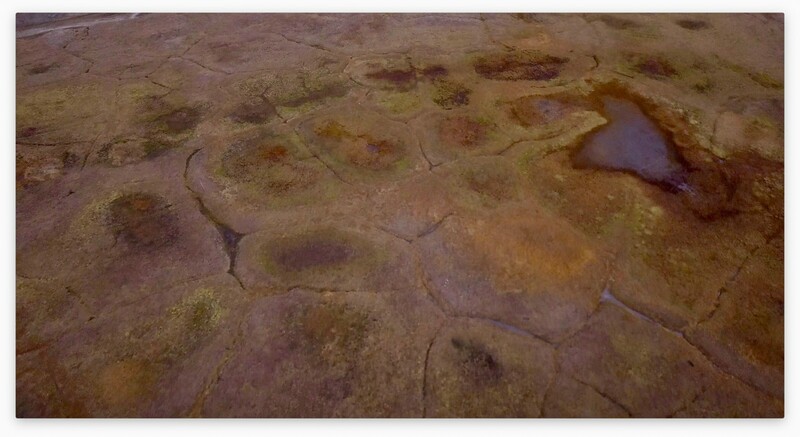 However, by the end of our visit, the bare earth was visible, and the top of the lake was slushy puddles of water. The changes in weather throughout the summer school made for interesting observation records. The albedo (reflectivity) of the lake surface went from approximately 0.8 for the fresh, white snow, but was reduced to 0.4 for the darker, water covered lake surface. It was great to see some theory in action! Luckily, we were also given a free day , in which we could explore the region, go skiing or just relax. One large group went off hiking, whilst a smaller group went cross country skiing and a few had a walk to the nearby frozen waterfall. But don’t worry, the science still continued! A group of 3 people stayed close by to release the lunchtime radiosonde. Our visit to the area coincided with the exciting annual ice fishing contest! Whilst cars and small DIY tools are common place in many cities, in Abisko it is a snow mobile (or skidoo) and an ice drill, so they were well versed in the art of ice fishing! The majority of the town’s occupants arrived at the lake and started drilling small holes to catch some fish. After two hours, a number of prizes were awarded (e.g for the longest fish caught). Unfortunately, some of the holes were a little too close to our meteorology mast, and some cables were pulled out, but thankfully we still collected some good data! An important aspect of any research is engaging with the local communities and communicating effectively with them. 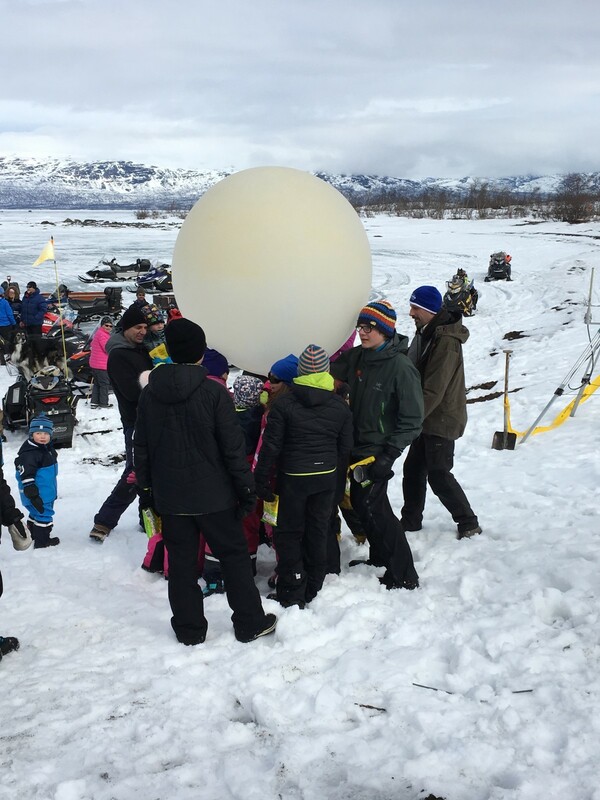 So all of the summer school attendees gathered by the lake to watch the ice fishing contest, and a large number of the children from Abisko gathered to watch us release the radiosonde, even helping launch one. They found our activities just as exciting as we found theirs! And we did some science communication as well! A crucial aspect of science is how you communicate it to a variety of audiences. The way you might discuss your thesis to your viva panel should be completely different to the way you describe your science to your Great Aunt Linda or to a group of 10-year olds who are attending your outreach event. As part of the summer school, we learnt a range of tips and tricks for communicating science, thanks to Jessica Rohde. 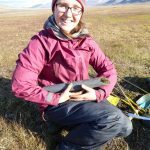 Jess is the communications officer for IARPC (Interagency Arctic Research Policy Committee) Collaborations and has years of science communication experience under her belt. Each evening we had a short lecture by Jess, which focused on a specific area of communication including presentation slide design, knowing your audience, listening to the audience and finding the story behind your science. Once we had learnt the theory we then put what we had learnt into practice. We did a bit of improv’, which included 1-minute elevator pitches and tailoring your science to taxi drivers, the Queen of England and models (no not computer models, the Kate Moss variety). An important take-home message was that there is no such thing as the ‘general public’. When designing your outreach event, the ‘general public’ could involve children of all ages (and therefore all learning levels), parents, teachers, professors and pensioners. Therefore, you should listen to the needs of your audience and understand what their motivation is. You can check out the final results of these sessions here! In the end, although the school was quite intense, everyone was sad to part. We are sure we will all remember this exciting time, where we learnt about the many aspects of polar prediction, and what to consider when tackling science communication. We hope that this school will be organized again in the next years to provide this amazing and unforgettable experience to all those who could not join this year’s Polar Prediction School! 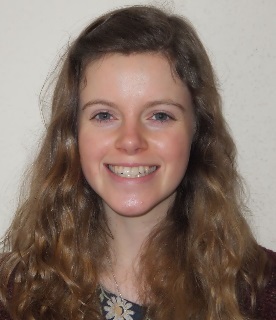 Rebecca Frew is a PhD student at the University of Reading (UK). 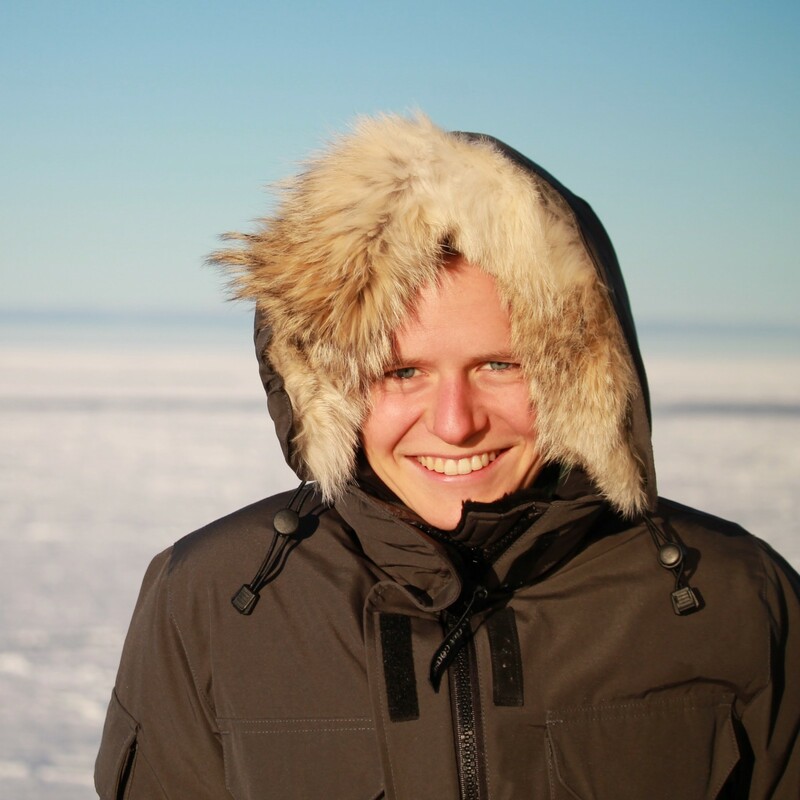 She investigates the importance of feedbacks between the sea ice, atmosphere and ocean for the Antarctic sea ice cover using a hierarchy of climate models. 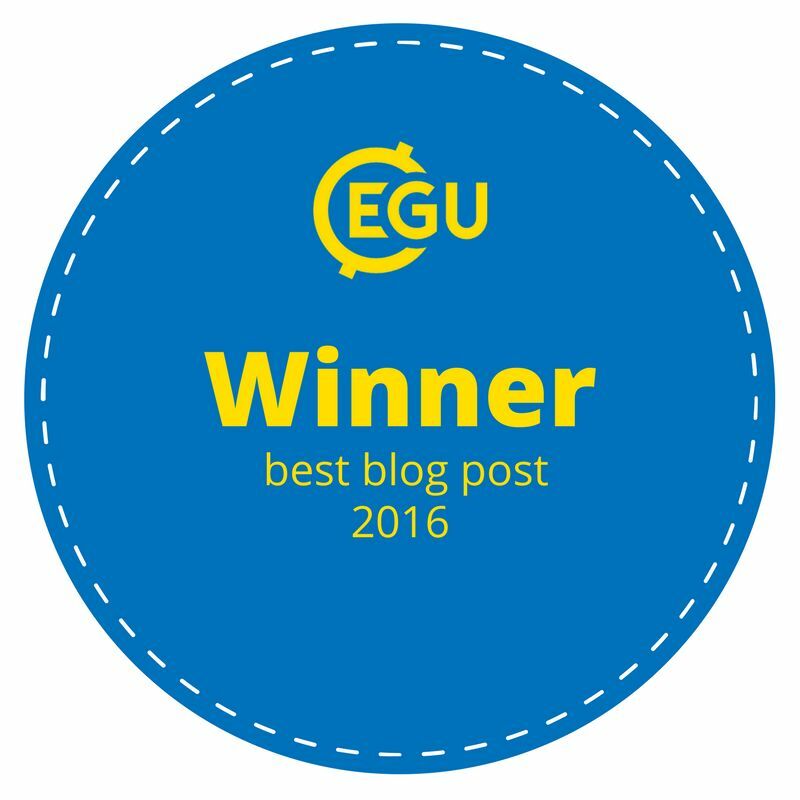 In particular, she is looking at the how the importance of different feedbacks may vary between different regions of the Southern Ocean. 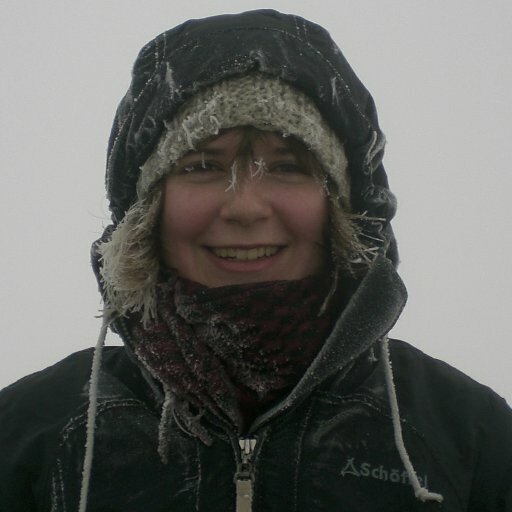 Jenny Turton is a post doc working at the institute for Geography at the University of Erlangen-Nuernberg, in the climate system research group. 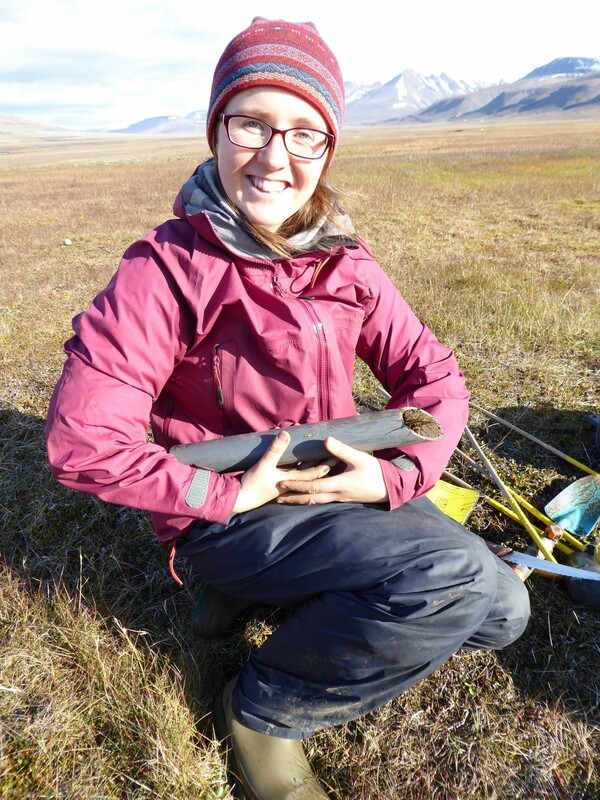 Her current research focuses on the interactions between the atmosphere and surface ice of the 79N glacier in northeast Greenland, as part of the GROCE project. 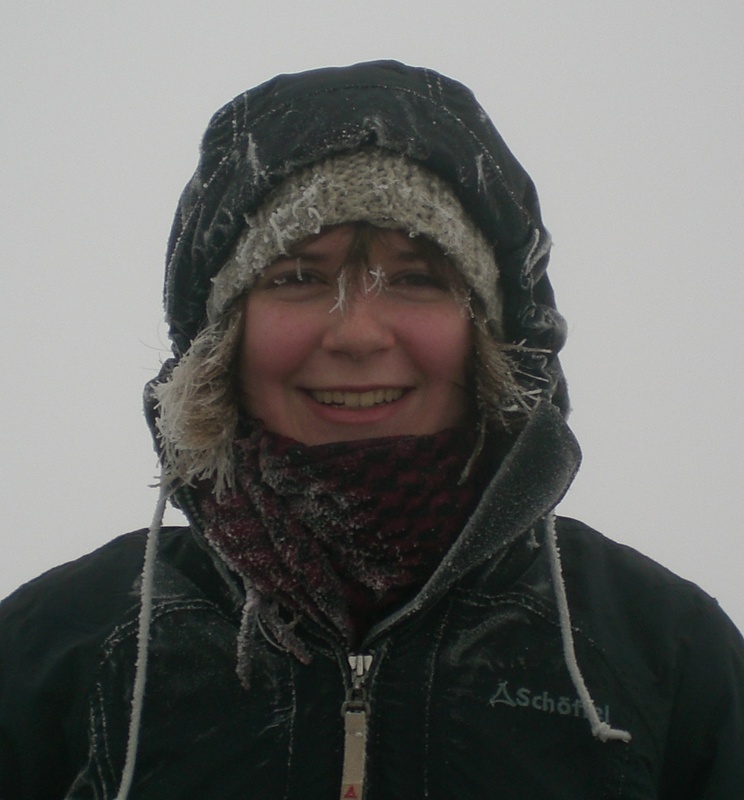 Clara Burgard is a PhD student at the Max Planck Institute for Meteorology in Hamburg. 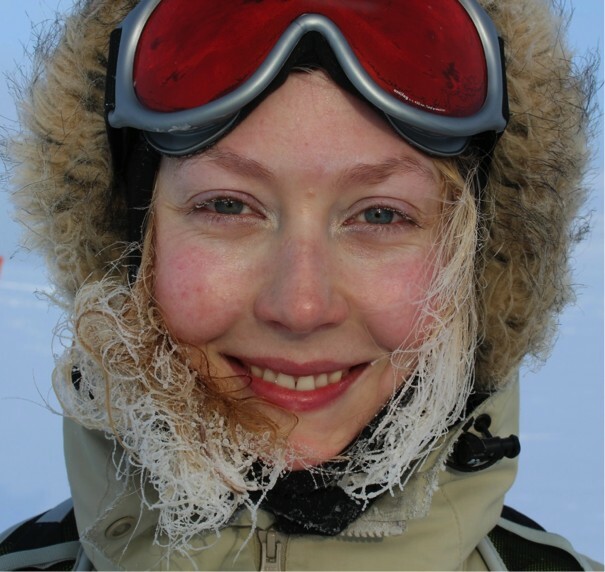 She investigates the evolution of sea ice in general circulation models (GCMs). There are still biases in the sea-ice representation in GCMs as they tend to underestimate the observed sea-ice retreat. She tries to understand the reasons for these biases. It’s pitch black and twenty degrees below zero; so cold that the hairs in your nose freeze. The Arctic Ocean in autumn and winter is inhospitable for both humans and most scientific equipment. 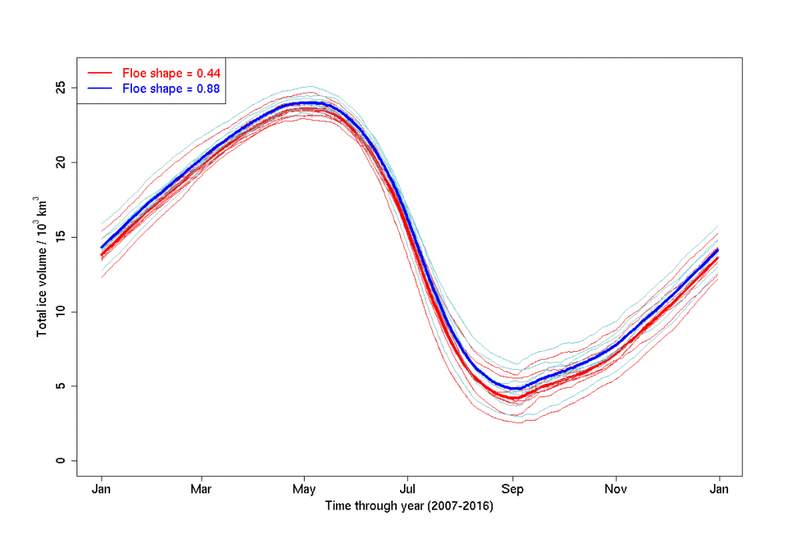 This means there are very few close-up observations of sea ice made during these times. 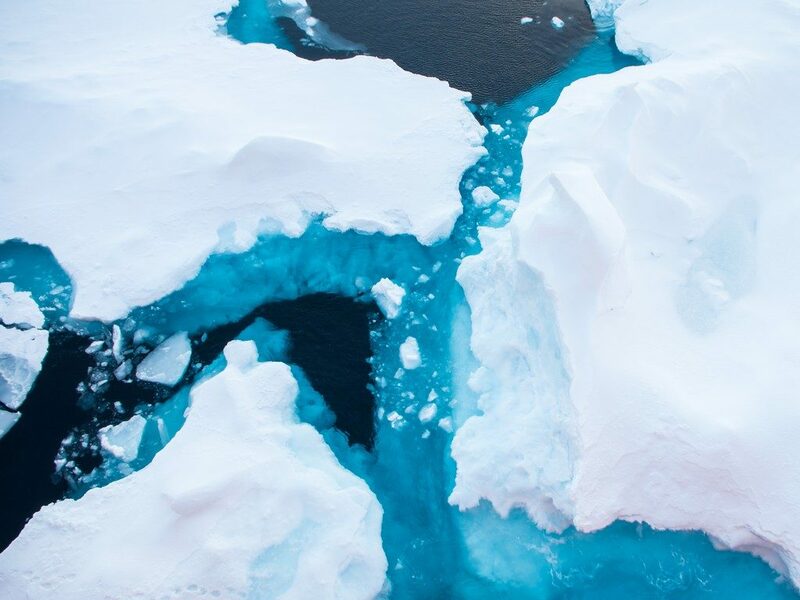 Recently, rapidly declining coverage of sea ice in the Arctic Ocean due to warming climate and the impending likelihood of an ‘ice-free Arctic’ have increased research and interest in the polar regions. But despite the warming trends, every autumn and winter the polar oceans still get cold, dark, and icy. If we want to truly understand how sea ice cover is evolving now and into the future, we need to better understand how it is growing as well as how it is melting. Sea ice formation during the autumn and winter is complex. 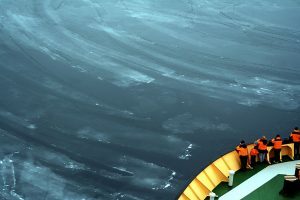 Interactions between ocean waves and sea ice cover determine how far waves penetrate into the ice, and how the sea ice forms in the first place. If the ocean is still, sea ice forms as large, thin sheets called ‘nilas’. 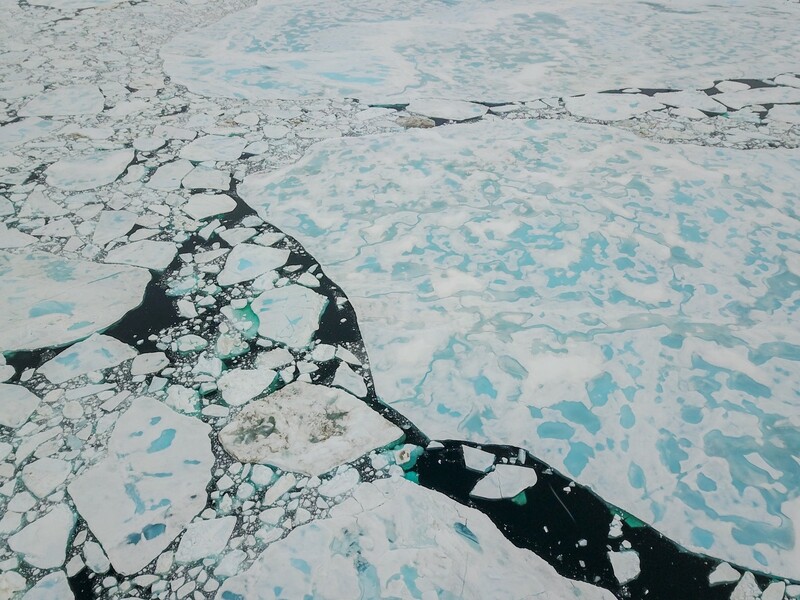 If there are waves on the ocean surface, sea ice forms as ‘pancake’ floes – small circular pieces of ice. As the Arctic transitions to a seasonally ice-free state, there are larger and larger areas of open water (fetch) over which ocean surface waves can travel and gain intensity. Over time, with the continued action of waves in the ice, pancake ice floes develop raised edges — as seen in our image of the week — from repeatedly bumping into each other. Pancake ice is becoming more common in the Arctic, and it is already very common in the Antarctic, where almost all of the sea ice grows and melts every year. 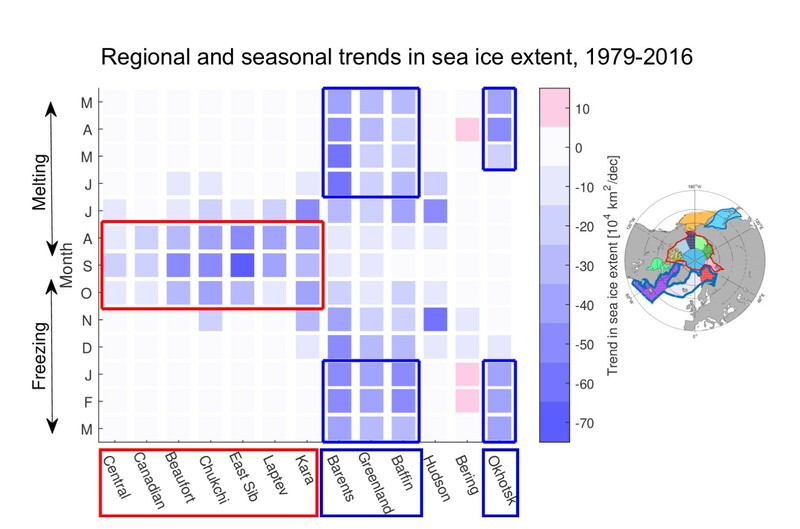 Nilas and pancake sea ice are different at the crystal level (see previous post), and regions of pancake ice and nilas of the same age may have different average ice thickness and ice concentration. As a result, the interaction of the ocean and atmosphere in these two ice types may be very different. 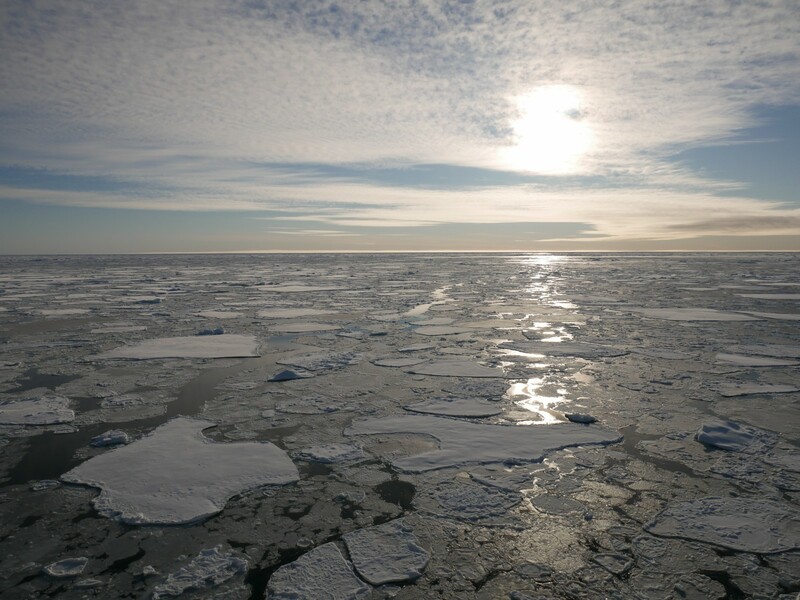 Gaps of open water between pancake ice floes allow heat fluxes to be exchanged between the ocean and atmosphere – which can have very different temperatures during winter. Nilas and pancakes also interact with waves differently – nilas might simply flex with a low-intensity wave field, or break into pieces if disturbed by large waves, while pancakes bob around in waves, causing a viscous damping of the wave field. The two ice types have very different floe sizes (see previous posts here and here). Nilas is by definition is a large, uniform sheet of ice; pancake floes are initially very small and grow laterally as more frazil crystals in the ocean adhere to their sides, and multiple floes weld together into sheets of cemented pancakes. Sea ice models have only recently begun to be able to separate different sizes of sea ice. This allows more accurate inclusion of growth and melt processes that occur with the different sea ice types. However, observations of how sea ice floe size changes during freeze-up are required to inform these new models, and these observations have never been made before. Pancake sea ice floes are often around only 10 cm in diameter initially, which is far too small to observe by satellite. This means that observations of pancake growth need to be made close-up, but the dynamic ocean conditions in which pancakes are created makes it difficult to deploy instruments in-situ. So how can we observe pancake sea ice in this challenging environment? In a recent paper (Roach et al, 2018), we used drifting wave buoys, called SWIFTs, to capture the growth of sea ice floes in the Arctic Ocean. 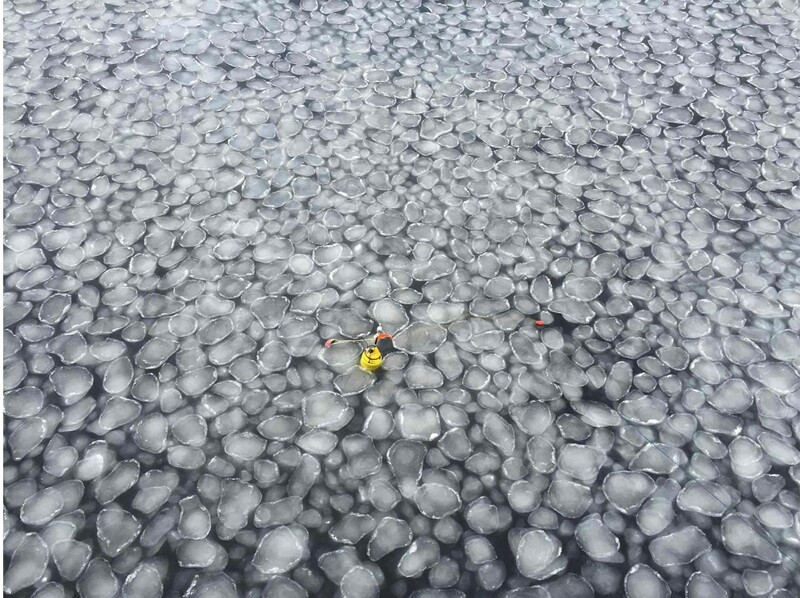 SWIFTs are unique platforms (see image of the week) which drift in step with sea ice floes, recording air temperature, water temperature, ocean wave data and – crucially for sea ice – images of the surrounding ice. Analysis of the series of images captured has provided the first-ever measurements of pancake freezing processes in the field, giving unique insight into how pancake floes evolve over time as a result of wave and freezing conditions. This dataset has been compared with theoretical predictions to help inform the next generation of sea ice models. 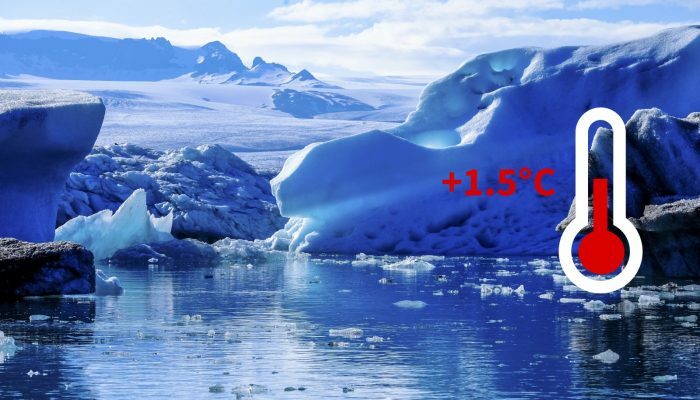 The new models will allow researchers to investigate whether describing physical processes that occur on the scale of centimetres is important for prediction of the polar climate system. Lettie Roach is a PhD student at Victoria University of Wellington and the National Institute for Water and Atmospheric Research in New Zealand. 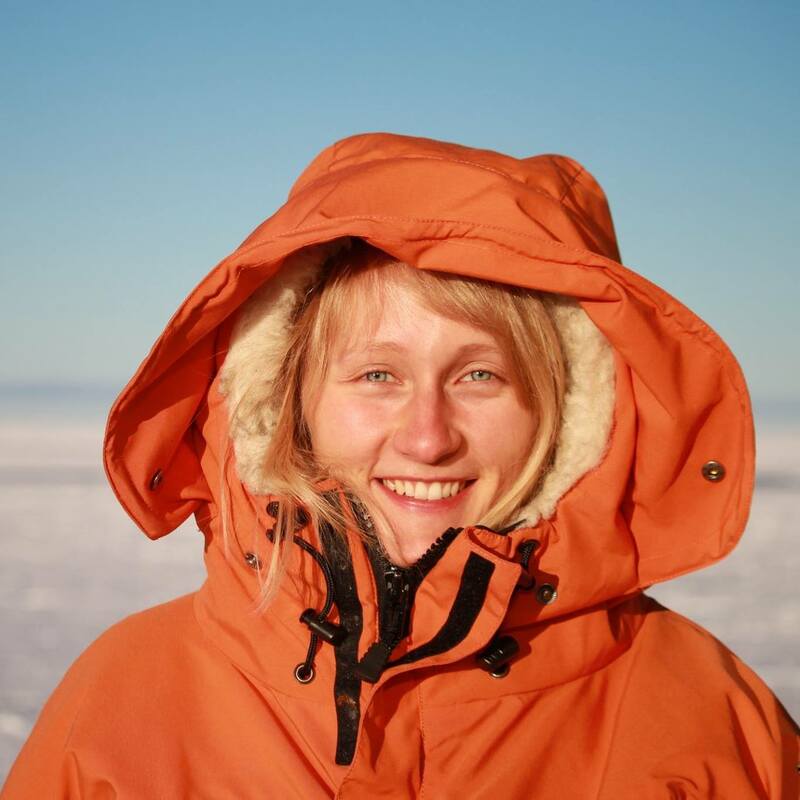 Her project is on the representation of sea ice in large-scale models, including model development, model-observation comparisons and observation of small-scale sea ice processes. 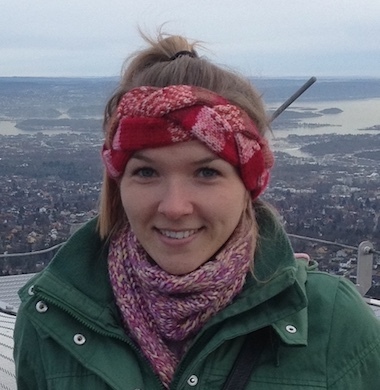 Maddie Smith is a PhD student at the Applied Physics Lab at the University of Washington in Seattle, United States. 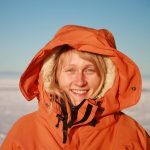 She uses observations to improve understanding of air-sea interactions in polar, ice-covered oceans.